I came up with this make-up named "Starry Night", inspired by Van Gogh's masterpiece. Although I know nothing about art, it's a masterpiece of my all time favourite. 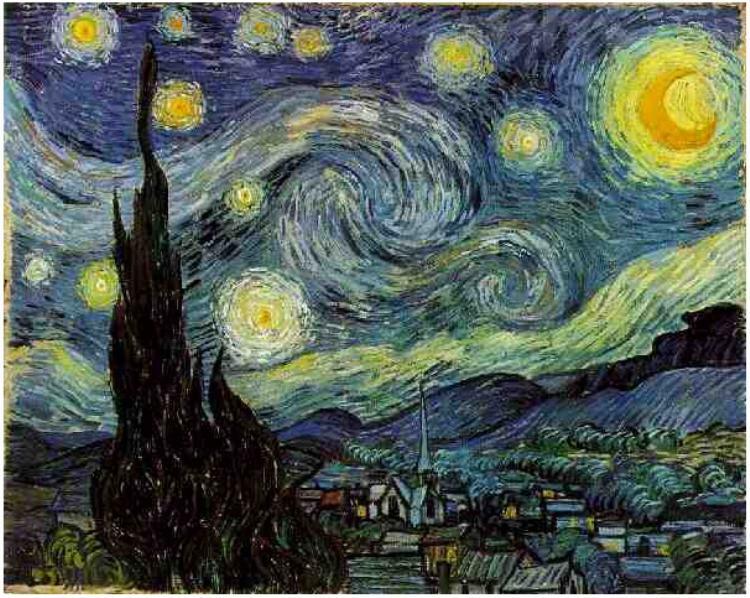 I love drawings or paintings that look like a real-life image or scenery but Van Gogh was an artist who led me to open my eyes to the world of abstract art. Dark navy shade (although it looks black) was to create as the night sky, while golden eyeshadow was to create the stars and the moon. This make-up is great for club night but also great for day-time make-up with lighter intensity. The first two steps are just like the Trip To El Dorado" (Click here for the link to the tutorial): use GL02 (Missha The Style Metallic Eyeshadow) on both the inner corner and the lower eyelid. Then, apply MAC's Woodwinked on the outer corner. If you want more dramatic look, apply Woodwinked to crease and blend it upwards. add the deep blue shade on top of Woodwinked (outer corner and crease). blend the border of all three shadows on the centre of the eyelid. So that's the end of Starry Night. minimized the use of blush to attract people's attention towards my eyes. please subscribe my blog or follow me on Twitter!